Cool classic style takes the starring role with the SKECHER Street Sidestreet - Funk It Out shoe. 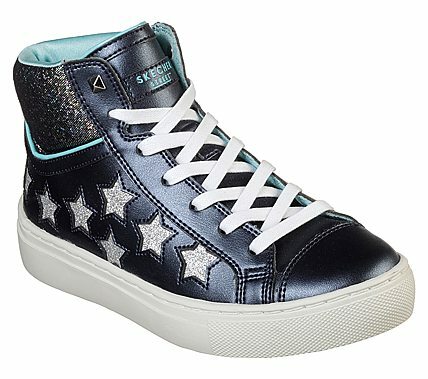 Smooth leather-textured synthetic and glitter finish fabric upper in a lace up classic sporty tennis-style high top sneaker with stitching and overlay accents. Air Cooled Memory Foam comfort insole.